A Eugene, Oregon woman was helping her father pack up his house when she found a yellowed document tucked away inside his desk. It had been there for nearly sixty years. 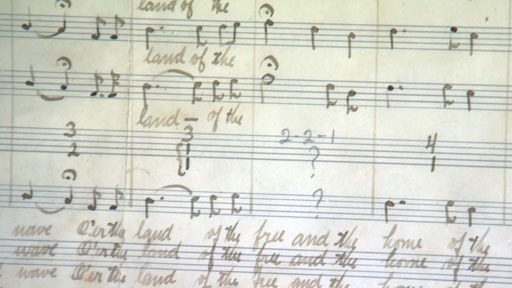 She soon discovered it was a handwritten manuscript for the The Star Spangled Banner. Her father got the manuscript in 1935 as a gift from his mentor, Arnold J. Gantvoort. Ganvoort was part of a committee to create an official, standardized version of the national anthem. Appraisers at Antiques Roadshow valued the music at $10-$15,000. History Detectives host, Elyse Luray sets out to determine what role this document played in the creation of our national anthem. Take a closer look at the original Star Spangled Banner. 1814. 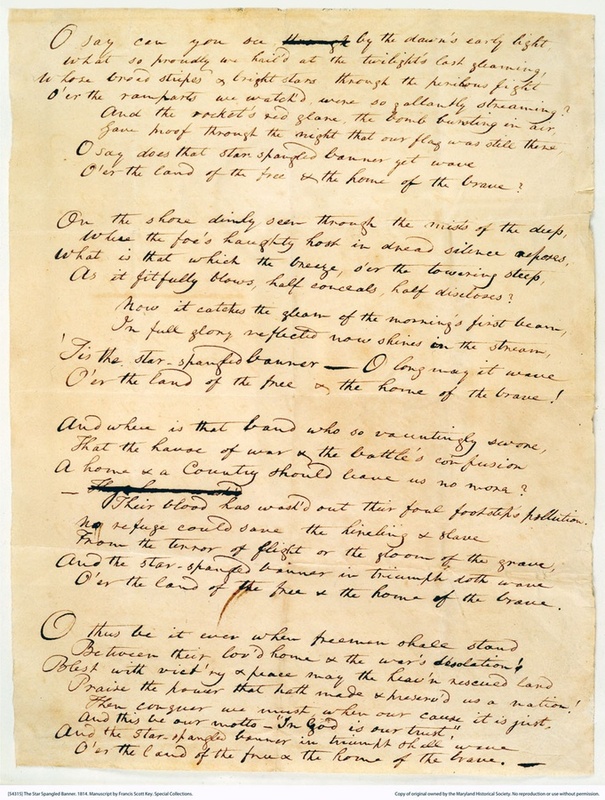 Manuscript by Francis Scott Key. Courtesy of Maryland Historical Society. Also with Elyse Luray Hindenburg Artifact Was this device snatched from the burning wreckage of the ill-fated zeppelin? Also in Season 10 Vietnam War Diary Why did this story capture international interest? Also in Emerging Modern America: 1890-1930 Isleton Tong Was this building a safe haven for persecuted immigrants, or a hub for organized crime? Also in Emerging Modern America: 1890-1930 Black Star Line Is this certificate a rare artifact from the heyday of Marcus Garvey?